One of the oldest and most cherished of all Indian classics, filled with deep spiritual wisdom, it is the story of five heroic brothers who were destined to rule a vast kingdom. 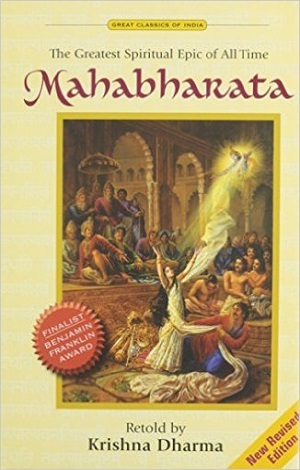 Culminating in an apocalyptic war, the Mahabharata is a masterpiece of adventure, intrigue, romance, and spiritual wisdom. Because of Krishna’s presence, the Mahabharata is revered as a sacred text and is one of the world’s greatest treatises on karma, reincarnation, and yoga. Complete text in 83 chapters, appendixes with family tree diagram, brief biographies of main characters.